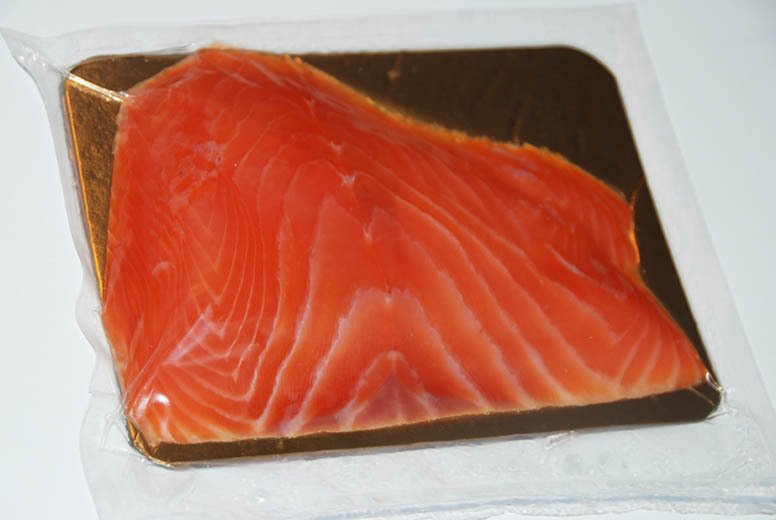 Salted Salmon fillet Sliced 200g vacuum chilled frozen. 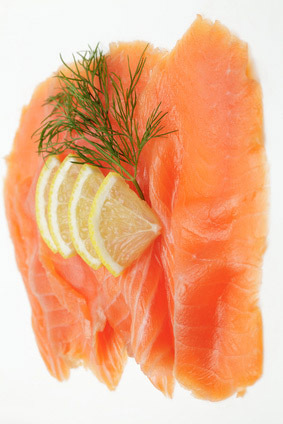 Superior Salmon fillet lightly salted and sliced skin off, fine trim, 200g tray chilled or frozen. only natural ingredients. Vacuum packed. Best before 21/180+ days. Salmo Salar, origin Norway. Great for Catering, Hotel breakfast and Sandwiches, Salads. 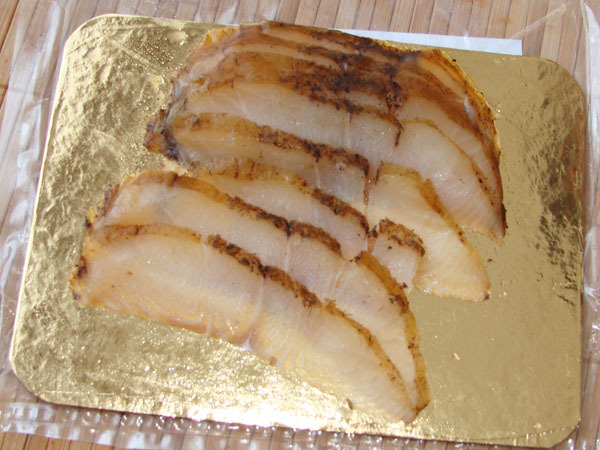 Available frozen product as well in 100g, 200g, 500g, 1000g. Added Thursday 24 January, 2013.